The “sun rises“ and the ”sun sets.“ This rhythm sets a pattern to our lives. The light of the sun also allows us to see. Light from the sun is actually the visible part of the electromagnetic spectrum, or waves of charged particles that travel at the speed of light: 186,000 miles per second (220,000 kilometers per second). Watch this TEDed video, Light waves, visible and invisible. Direct sunlight is made up of different wavelengths of light or colors that merge together to give us the brilliance of white sunlight whereas indirect light from the north gives a room a blue cast. Sunlight is absorbed by Earth’s atmosphere or can be reflected by clouds and dust, or transmitted directly on a clear sunny day. 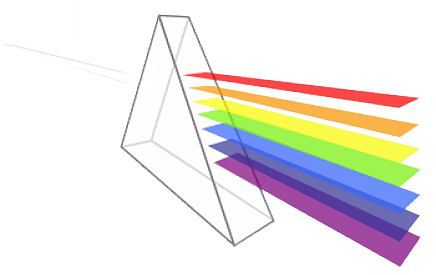 Passing light through a prism results in different colors of light (with different wavelengths) bending as they pass from low density air to higher density prism glass. Voila, a spectrum! Our eyes capture thousands of edges or lines per second and reflect their light back into our eyes. The edges or lines are focused onto our retina and then to our brain and form memories of images. When the sunrises, forms become articulated textures. Sunlight falls onto surfaces and is absorbed (as on a black roof), reflected (as from a mirror) or transmitted (when it passes through clear glass). Humans are drawn to light and have made use of natural light to illuminate the spaces where they work and live since the very beginning. Daylight stimulates the mind and connects us with nature. The earth revolves around the sun. The half of the earth facing the sun is in sunrise, noon and sunset time. The half away from the sun is in dusk and night. 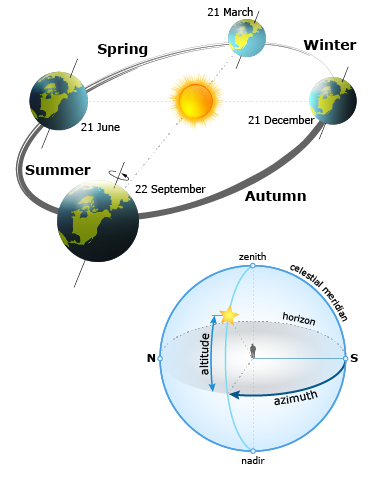 The earth rotates as it revolves around the sun in solar days on a tilted axis. The time of one revolution is one year or 365. 26 days. The earth’s tilt, as it rotates around its axis gives us our 24 hour day. Look at the rotation and see how the earth’s tilt bring its closer to the sun during the Perihelion stage and further from the sun during the Aphelion stage. Watch The Reasons for the seasons. 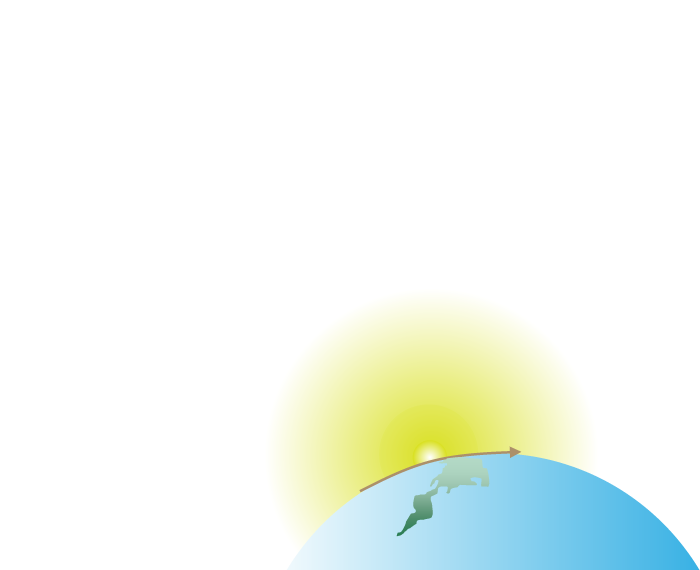 sun position: direction sun points towards a particular structure or space and the angle it appears in the sky above the horizon line. Draw the sun in a diagram with the rotation of the earth. Label the miles between the sun and the earth at the Perihelion stage and the Aphelion stage. Label the equinoxes. We see because of light. To be seen, objects must reflect light or emit light. Sunlight falls onto surfaces and is absorbed (as on a black roof), reflected (as from a mirror), or transmitted (passing through clear glass). When light is reflected, the incoming angle of incidence equals the angle of reflection. Refracted light is light that is bent or changes direction. Light in a prism is refracted. Sometimes, depending on the surface of the material or lens sunlight hits, light can scatter in multiple angles at one time. Diffraction is a slight bending of light around the edge of an object. 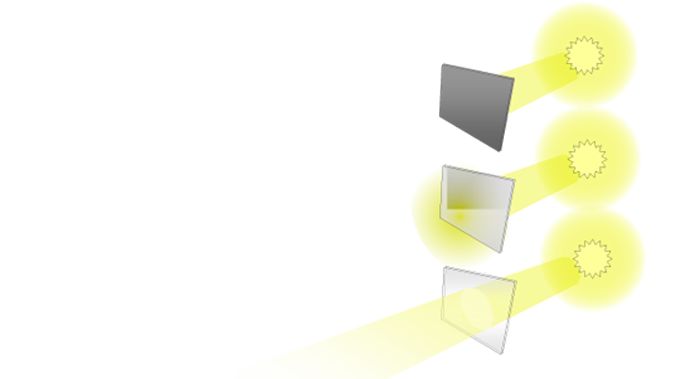 Draw the different behaviors of light in your journal and submit them to the gallery. Pick a room in your house that has windows facing south so that during the day, sunlight spills into the room. On an 11 x 17 piece of paper, make a chart for the 24 hours of a day. Set a camera in the room in a place where it cannot be moved. Take one picture every hour of the day…and night!!! Print your pictures in a series and see how the mood and atmosphere of the room changes with the presence of sunlight or the absence of sunlight (shadows). Print your pictures at a small scale then paste four different moods in your journal. An option is to draw the view at four different times of day. Draw the view once in the morning, once at noon, once at 6pm and once in the evening. Look at the change in values, views, and detail definition. Begin with a large sheet of foam core. Thinking about windows, cut openings into the foam core of different shapes and sizes. Cover the openings with an assortment of papers and common materials you find around your house, then tape them to the foam core on the backside. Some materials to use are: newspaper, foil, waxed paper, typing or tracing paper, toilet paper, paper towel, tape, translucent plastic, grids, and different scraps of cloth. Take a flashlight and shine the light through the materials. On the front side, label whether the material absorbs, reflects, or transmits light. Paste an opaque, translucent, reflective, and transparent material in your journal and label each of them. Find an empty box, preferably all white. Take the top of the box off and set the box on its side. On the remaining five sides, design openings in the box from above, on the sides and from the bottom. Make some of the openings linear, others in a pattern or repetitive shapes. Place an object inside of your box. Cut the openings with an exacto knife keeping the edges of the opening clean. Take a flash light and shine the light outside of the box while looking into the box. See how the direction and source of the light changes the effect of the space and the mood of the displayed object. Show your magic light box to a friend! Create some shadows of your own with the light box on the right! Natural lighting is light that comes from the sun. Light travels at 200,000 miles per hour. The visible part of the electromagnetic spectrum is made up of the colors of the rainbow. When different colors of light are mixed together, the light becomes white. Light is necessary to see.